Digital Radiography to minimize the amount of radiation and increase the diagnostic quality of our X-Rays. Our oral hygiene maintenance appointments are preformed by experienced, knowledgeable and caring registered dental hygienists. This includes oral cancer, periodontal and decay exams, as well as patient education. We bill any dental insurance and do our best to help you with your benefits. All unpaid balances, after the insurance payment is received is the patient’s responsibility. We accept MasterCard, Visa, and Carecredit. Whatever your dental needs are, we will work with you to meet those needs. As a patient focused team, we strive to ensure trusting relationships with our patients and take pride in our exceptional dental care based on traditional values. 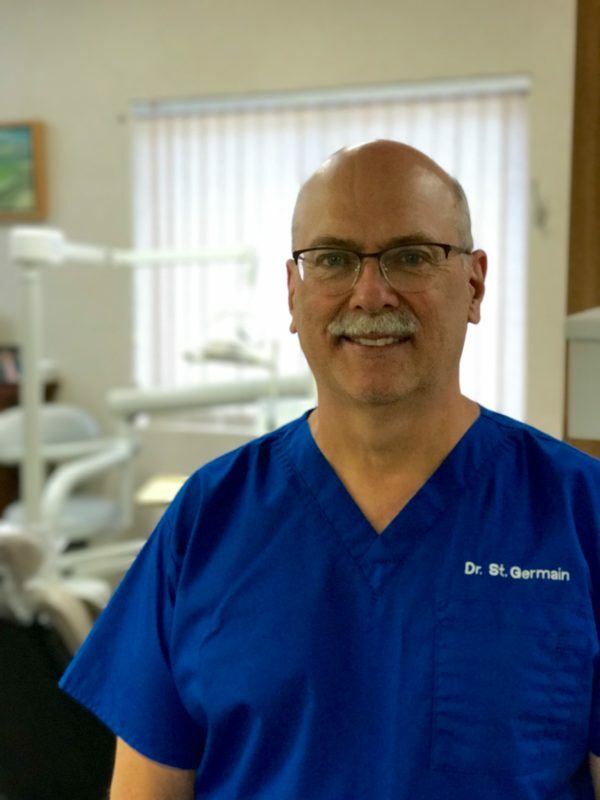 Dr. St. Germain graduated from the University of Pittsburgh Dental School. After serving four years as a Naval dentist, he settled in his native state of New Hampshire.